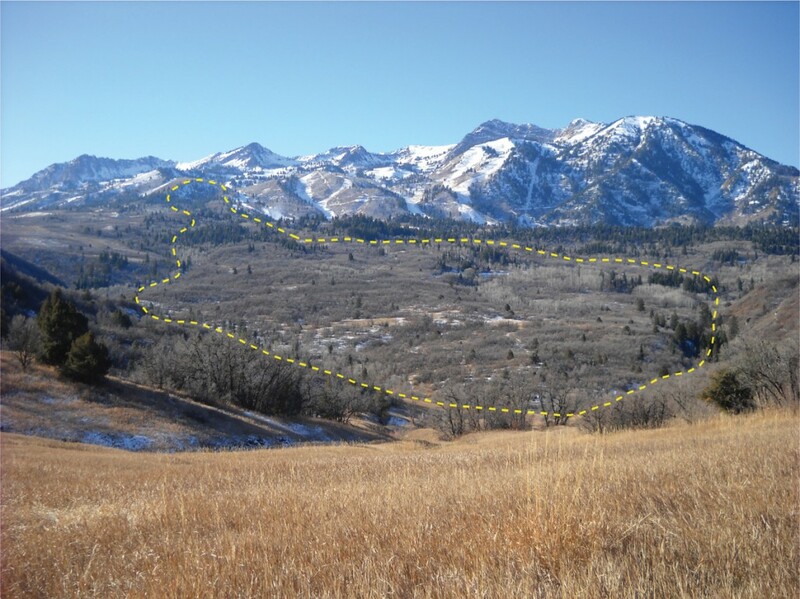 An example of a clearly active landslide on the Wasatch Plateau in the Seely Creek drainage. The landslide shows a lack of vegetation, hummocky rough surface, and distinctive head and toe features. The lower landslide averaged 14 feet of movement per year between 2004 and 2009. Photograph taken September 24, 2009. 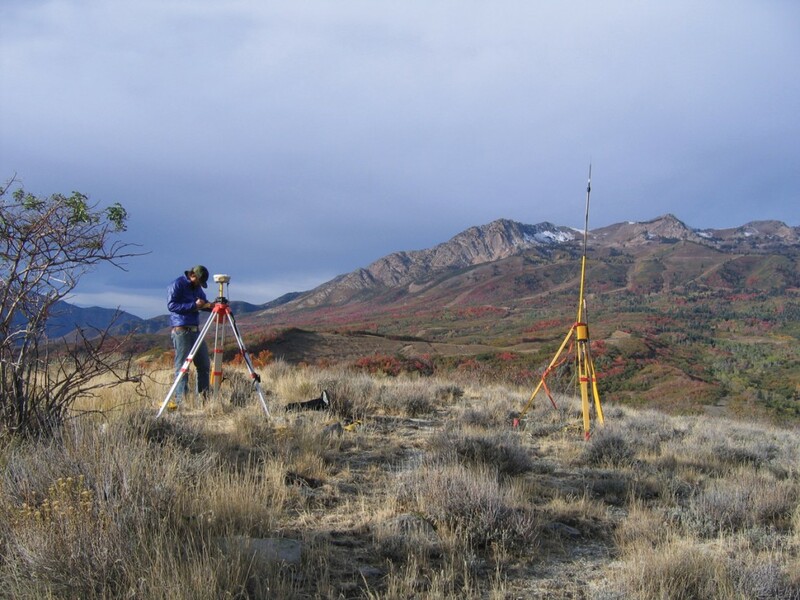 The Geologic Hazards Program has an ongoing long-term Global Positioning System (GPS) monitoring program to determine movement activity in several northern Utah landslides. Landslides may move so slowly that their movement is imperceptible to humans. A geologist investigating a slow-moving landslide may determine it to be dormant and stable, based on the landslide’s appearance and short-term movement monitoring. However, the landslide could be moving slowly, and the consequences of assuming the landslide is stable and safe to build on could be disastrous. Therefore, while these landslides appear stable, precise longterm measurements are needed to evaluate if they are moving. Slow-moving landslides that we have targeted for monitoring can move as slowly as half an inch per year or less. sharp, distinctive landslide head, toe, and internal features. faint landslide head, toe, and internal features. Ground cracks and other sharp features may develop on slow-moving landslides; however, erosion generally mutes and obscures these features as they develop. On a slow-moving landslide, the features can erode faster than they develop, giving the landslide a dormant and stable appearance when the landslide is actually unstable and moving slowly. One method of determining slow rates of landslide movement is with a survey grade GPS instrument that uses information broadcast by a satellite network to accurately determine the location of points on the landslide within approximately 0.5 inch horizontal and 2 inches vertical. GPS monitoring involves remeasuring the points on the landslide surface over time. Depending on annual precipitation, several years of monitoring may be needed to identify movement. Our monitoring program includes collecting GPS measurements once a year unless significant movement is detected; in that case, measurement frequency may be increased to collect additional data while the landslide is moving. Landslides rarely move uniformly along their entire length, so repeated monitoring of points distributed throughout the entire landslide is necessary to identify movement and plot its distribution. Additional monitoring points are needed outside the landslide to determine landslide boundaries. Our main goal is to detect repeated landslide movement over a period of several years in landslides that appear to be dormant or slow moving. 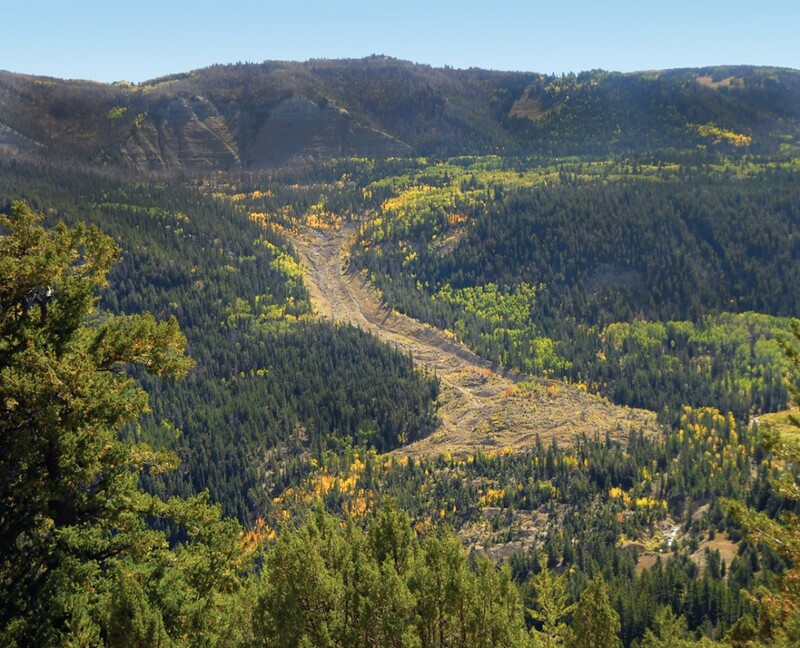 If movement is detected, our monitoring program can be refined to determine if the landslide moves continuously throughout the year or seasonally (generally during the spring). Movement patterns can then be compared with records of precipitation and groundwater levels to see what associations may exist. Other studies have shown that periods of above-normal precipitation and high ground-water levels commonly trigger landslide movement. Multiple measurements also provide movement rates and direction for distinct survey points on a landslide. A history of landslide movement aids in anticipating future landslide movement, managing landslide movement problems, and providing information to aid subsequent landslide investigation. Green Pond and Bear Wallow, Snowbasin Road, State Route 226, Weber and Morgan Counties. Creekside Drive, Mountain Green, Morgan County. Springhill Drive, North Salt Lake, Davis County (example of a slow-moving landslide in a subdivision). Potato Hill and Little Valley, Draper, Salt Lake County. Unnamed landslide near Mill Hollow Reservoir, Wasatch County. Coal Hill, east of Zion National Park, State Route 9, Kane County.